Not many planners or economic developers have the opportunity to reshape the physical environment changing the pristine environment into high density economically prosperous uses. These situations typically pit environmental and neighborhood character preservation vs. economic gain. It’s never a “clear cut’ decision, no “black or white” solution is easily identified to solve an endless number of questions and personal issues of folks concerned. There are numerous books written about these situations, typically explaining how the economic development initiative has altered, not only the landscape but also the lives of people that live there. The End of Country is another descriptive exploration of the conflict between economic development and change; both environmental and social. Author Seamus McGraw chronicles the process of leasing mineral rights from rural country property owners through the making of Susquehanna County, Pennsylvania, Marcellus Shale natural gas-well royalty recipient millionaires. McGraw who grew up on the family farm tells the story of his elder mother and her neighbors process of being solicited to lease their mineral rights, the land clearing well drilling site preparations and the transformation of the “rural hill country landscape” of Pennsylvania into an industrialized natural gas collection landscape. It’s a great read, one that will challenge planners and economic developers to think about the changes brought about by certain economic development actions. It poses the question…. When is it morally and ethically correct to exploit the natural environment [possibly resulting in non-revertible outcomes] and change the physical and cultural landscape in pursuit of economic development community gain? It’s a plaguing questions one this writer has explored in other blog posts about books titled: Bulldozed, At the Crossroads and Hollowing out the Middle. …an economic developers thinking about the ro le of Money. Every economic developer is, or should be, concerned about money. It’s the measurement tool for which economic development success is based on…increasing household incomes by increasing job counts and wages paid. The economic development profession does not give much thought to money as a tool of measurement but the reality is money determines value and serves as the central vehicle to judge, compare and communicate about local, national and world-wide economies. Without money no one could intelligently discuss today’s local or global economic conditions or their historic trends. For economic developers, money is a needed tool to determine value of their efforts to make local economies better. Gilder gives an interesting perspective of money in its role of determining value in his book “The Scandal of Money”. Gilder’s free-market thinking postures that while money serves as a “measurement stick of value” its human creativity…a process of learning, identification of opportunity and entrepreneurial expansion that in effect creates the profits that are measured by money that is important for economic sustainability and economic growth creating community betterment; ultimately measured in higher household incomes. Gilder’s concern lies in the notion that today, the money measurement tool is manipulated more by government action than entrepreneurial profit realization. He poffers that more profit diverted to government sponsored programs and incentives robs profits from entrepreneurial expansion that creates knowledge, information which is used to increase technological advancement leading to increased jobs and better wages. For economic development practitioners Gilders thinking again brings into focus the role of government in manipulating profit in the form of taxes and incentives in an effort to pick job and wage increasing winners. It’s a cranial intellectual policy read, one recommended for all economic developers and civic planners interested in government economic development policy. I support the notion of creative destruction with technology replacement, information which is easily communicated and replicated in productive learning that accumulates knowledge which frees entrepreneurial spirits resulting in new profit opportunities for the future. Gilder’s message is that a non-governmental manipulated money supply that increases in value as entrepreneurial opportunity is fulfilled results in new jobs and higher wages denoting economic success and a better future. BARODA MICHIGAN – “placeMaking” a Great Community. Today, “placeMaking”, the newest strategy for reinvention of economic troubled downtowns through creation of a new economy founded on higher density residential living, more pedestrian walkability and less dependence on the automobile, is the new elixir for past downtown decay. While a national phenomenon, especially in Michigan this strategy is being promoted for big and small city economic renewal strategy. Its founded on two economic philosophies, the first, that today’s smart young talent prefer a different residential pattern of development, one of higher density that supports compact social, entertainment and employment opportunities within reasonable “walkabily” (or biking) distance. The second principle is that employers who want this young talent for their business will seek out and locate in these densely populated centers where needed talent reside. Simply stated, business will move to talent rather than talent moving to business. Evidence for this evolutionary demographic change is substantial. US Census data document that central city population in metropolitan areas have grown more quickly than other forms of residential living environments. Today, city planners promote “placeMaking” as the elixir for future economic sustainability by identification critical uniqueness of local economies and both public and private investment to create the higher density residential living environment and walkable social environment and employment venue. Baroda is an example of the unique competitive advantage theory. It was founded to collect surrounding farm production for transport, via interurban rail to the Benton Harbor/St. Joseph metro center prior to the advent of truck transport. It reinvented itself in in 60’s & 70’s as southwest Michigan’s “tool & die” capital servicing the auto and appliance manufacturing industry. Returning to its agricultural roots, in response to the demise of manufacturing, today Baroda serves as the center of southern Lake Michigan’s wine and craft brew agriculture crop production and mechanical equipment manufacturing. Baroda’s latest economic reinvention is told in the MML book Economic of Place – The Art of Creating Great Communities”, a case study of Village government investment and new business location and growth documenting “placeMaking” success. For me, it chronicles a 10-Years of personal history with a special community made up of a unique citizenry seeking a sustainable small town suburban economically viable walkable living environment. I’m proud to serve as the planner, economic developer and advisor to Baroda in “placeMaking” a great community. In 2006, I was asked to help establish an economic development educational program to be offered as an elective in the Purdue Northwest Masters of Business Administration degree program and teach its capstone class. While consuming several years to gain academic approvals, the three classes, The Competitive Advantage of a Region, Economic and Social Analysis, and The Process of Economic Development were formulated into a free-standing certificate allowing both full-time MBA and non-credit student enrollment. This certificate program fulfills an identified need in Northern Indiana – an educational opportunity for a wide-range of community leaders to gain knowledge about the role of economic development in their community. The Process of Economic Development capstone class activity gives the student a “real life” experience analyzing a preselected community for the location of a new business including a formal presentation of community assets before a panel of representative decision makers of the business made up of the Mayor and several economic development practitioners. Northern Indiana is truly blessed to have a cadre of upwardly mobile leaders who will undoubtedly serve as volunteer board members for economic development organizations whether they be government, chamber of commerce or nonprofit sponsored and guide their economic development efforts towards success. This education program prepares students with knowledge of economic development agency operations but also duties and responsibilities of the agency directorship appointment. This is a “first of its kind” program to train future volunteer economic development leaders in Northern Indiana, a model that surely will be followed by others. It’s every Mayor’s goal…an innovative community that surpasses social and economic threats producing social and economic prosperity. There are 100’s of books telling how to do this…describing public, and yes, private programs to achieve this. One of the newer contemporary suggestions – innovation – put forth by Antoine van Agtmael and Fred Baker in their book “The Smartest Places on Earth” add to the wealth of ideas and techniques for socio-economic sustainability. They proffer that “brainsharring” for the new economy, the “reinventing of local economies by developing new products, technologies that will eventually transform daily life, is the solution to economic repurposing of our rust belt impacted communities and surrounding regions”. Through visitation and personal interview among a select group of economically reinvented former “rust belt” global communities, they identified “keys” to successful economic reinvention. Successful “brainsharing reinvention” begins when communities acknowledge the historic economic malaise and generate a strong sense of action to prevent reoccurrence – the “communitywide recognition that economic improvement action is necessary”. Coupled with the attitude ‘it won’t happen again” is the notion of a new direction – “a pathway to economic revitalization that repurposes the local economy producing a sustainable future”; one that is also easily understandable to a wide spectrum of constituents”. Brainsharing across public and private entities is a must and typically arranged, facilitated and mentored by a “connector”, one, or more, individuals who bring together, normally separate interest groups to collaborate and then serve as their “shepherd” leading them to a specific goal. While there are many pathways, concerted effort on 1 or 2 reinvention strategies leads to greater chance of success compared to expending a “little bit of effort on a wide variety of strategies”. For those interested in economic reinvention of local economies, this book will stimulate some interesting thoughts about the “new economy philosophy” of economic development and job creation. Economic reinvention comes with destruction and replacement of current socially accepted community thinking. Maybe more important for action is the “continued fear that a significant economic down turn event can happen again and we can’t let that happen”. It also shows that reinvention must happen regardless of its hard work and realistically, is bigger than our community alone…calling on us to cooperate on a larger regional scale. An innovative community is one which welcomes technological destruction, shows a willingness to sponsor “brainsharing” for the purposes of producing new businesses creating new economy jobs and investment. South side reporter for local NPR member station. Chicago is a city of neighborhoods…places of similarity…racial, religious, ethnic, socio-economic. These places both connect and divide human contact, economic investment, political capital… they also foster racial, religious and ethnic diversity while perpetuating segregation. Growing up a Chicago “sout-sider” means you’re different – not bad, nor deprived but different. Natalie Moore captures this difference. Being a black “sout-sider” she shares her life experience; a middle class black family upbringing from the Chatham racially divided neighborhood to racially integrated Beverly and Hyde Park/Englewood neighborhoods to the up and coming Bronzville neighborhood all while expertly describing how Chicago social, political and economic forces shape the neighborhood landscape and their socio-economic strictures. Being a Chicago “sout-sider” and a seasoned city planner – economic developer I was anxious to read her book. The book refreshed memories, and I can say…I saw it, I lived it…and personally experienced both the good and the bad of Chicago’s “sout-side”. For the city planner, her book offers many insights into today quest for community “placeMaking”. Socio-economic homogeneity draws together economic and political power useful for neighborhood sustainability while at the same time posing a barrier to outside capital infusion and citywide political influence. Readers will be challenged with the question of whether a socio-economic concentrated enclave is better than multi-faceted interests for neighborhood sustainability and social and economic betterment? This is a must read for city planners and others with interest in “placeMaking” the art of “creating great communities” built around vibrant neighborhoods were people want to live. It was bound to happen….the destruction of Michigan’s most effective economic development tool. Over the next several years, as new and updated Development and Tax Increment Financing Plans are adopted, it’s likely that more and more counties and colleges will “opt-out” reducing the amount of future funds available to Michigan’s Downtown Development, Corridor Improvement and a number of other specialized authorities created by Michigan local governments. The impact is, and will be, pretty draconian to local community economic development. A quick review of nine TIFs I have completed during the past five years in Southern Michigan shows that City/Village formed TIFs will lose between 20 to 50% of future revenue and township formed TIFs between 60 to 80%. Ouch…is all Wayland City Manager, Michael Selden could say when I shared this information with him. “This will surely change the way we go about the budgeting process for our Downtown Development Authority”, he added. I first saw this coming a few years back when a small community used DDA funds to buy a snow plow truck “cause it will be used to plow downtown streets too”. This was reinforced when the lack of DDA oversight in two communities led them into emergency financial problems due to the use of DDA funds for unauthorized purposes. It’s also common practice to “slide over” typical general fund expenses to an authority for payment; things like pavement marking, street sweeping, landscaping expenses plus certain salaries & wages – expenses that normally would paid with general budgeted funds if there was no TIF revenue. It’s pretty easy to grasp the reason for “opt-out”. Why in face of county fiscal challenges should the county divert funds to sit idle in a local community’s bank account or pay for things that normally would be paid from the community’s general fund? In the industrial park case, the diverted county funds held by the community would fully fund the projected budget deficit for the year. The reason for opt-out is pretty simple, poor management and lack of oversight on the part of the local community and yes, the county (college and other tax capture entities) also. Since most TIFs are outgrowth of DDAs (and other authorities) formed about twenty years back, we can assume that more opt-outs will take place as communities are required by law to update their Development & TIF Plans. Because there are no TIF police or required legislative compliance reporting, the number of TIFs that may be subject to opt-out cannot be easily determined. Based on my experience I suspect, a large number of TIFs operate without an up-to-date Development & (separate) Tax Increment Financing Plan properly approved by the City or Village Council or Township Board. Even where these documents currently exist, often times, they are not current, incomplete or do not correspond to the actual projects and funding decisions made by the authority board. The TIF police function is solely the duty of the legislative body of the community that establishes the TIF, a duty typically unrecognized and rarely exercised by elected officials. Under this scenario, there is no capture of county (or college) tax revenues. The impact of this decision is to leave funding TIF expenditures solely with local government general fund sourced revenues. Bridgman City Manager, Aaron Anthony questions the need for the city’s Corridor Improvement Authority “if we have to fund all of its expenses”. Why don’t we just eliminate the CIA and do the projects ourselves”, he added. But Michigan’s emphasis on central city “Place Making” requires a separate authority (DDA or CIA) to increase eligibility for state grant funding, to obtain redevelopment liquor licenses and to offer commercial renovation tax abatements. “So even if we don’t ever form the TIF District and capture general funds, there’s a need for the CIA itself….I could run the CIA as a shelf organization and use it only when needed for these specific purposes”, quotes Anthony. Dan Fette, Berrien County’s Community Development Director, supports a somewhat different approach. On his advice, the county adopted a policy that places a cap on the total amount of county revenue that can be captured during the life of a current TIF Plan. The county and local government agrees, by contract, to a predetermined amount of future county revenue that can be captured. The amount is determined by projecting future tax revenue expected for new development and inflation increased existing property values documented within the TIF Plan adopted by Council or Township Board. According to Fette, “this gives the County an opportunity to discuss what projects and activities will be funded and how much future County tax revenue will be diverted to support local economic development within each specific community……obviously good projects that increase employment and create additional tax base will be viewed differently than activities that don’t”. “Use of an intergovernmental agreement sets in place the opportunity to introduce recapture processes for TIF funds used in violation of the terms agreed upon”, he notes. A variation to the Option 2 – Cap approach is to the limit County (or college) TIF funds use for specific agreed projects. This is an interesting approach; In Michigan we have several specific authorizations that effectively do this now; the Water Resource Improvement Tax Increment Financing Act, PA 94 of 2008, being an example. For these TIFs the County (and college) effectively make an “in-or out” decision to participate in the single purpose use of TIF funds by a local government. This same idea to “opt-in, opt-out” of specific projects can be used “right now” by a DDA or CIA. It‘s pretty simple according to Aaron Anthony, “all that’s needed is a Development Plan that contains specific projects with their estimated costs approved by the Council and ok’d by the County. All tax revenue, both county and city, in excess of that needed would be considered ‘excess’ and, as required by law, returned to the city and county”. Another approach, one this writer supports, is annual work program agreements between authorities and funders. This was first introduced about five-years back in southern Michigan where authority Development and TIF Plan adoption ordinances, this writer prepared, added a provision that required the Chair of the authority and the chief elected official of the local government, to prepare and personally sign an annual report detailing accomplishments, expenditures and compliance with adopted plans. The intent of this requirement was designed to serve as the basis for discussion of the past years use of TIF revenue and to discuss the use of TIF revenue for the coming year to assure that all funding was being used in accord with the terms of the approved Development and TIF Plans. Unfortunately, this didn’t work well. Neglected by the authority and the chief elected official and not “followed-up” by the county (or college), the reporting duty just became another disregarded task of local government. Michigan is a bit unique in use of TIF. In other states, especially those that allow school tax revenue capture, the amount and purpose of tax increment financing is more individual project focused and subject to a higher degree of initial scrutiny and periodic performance review by the funders. With this said, TIF is important to Michigan. 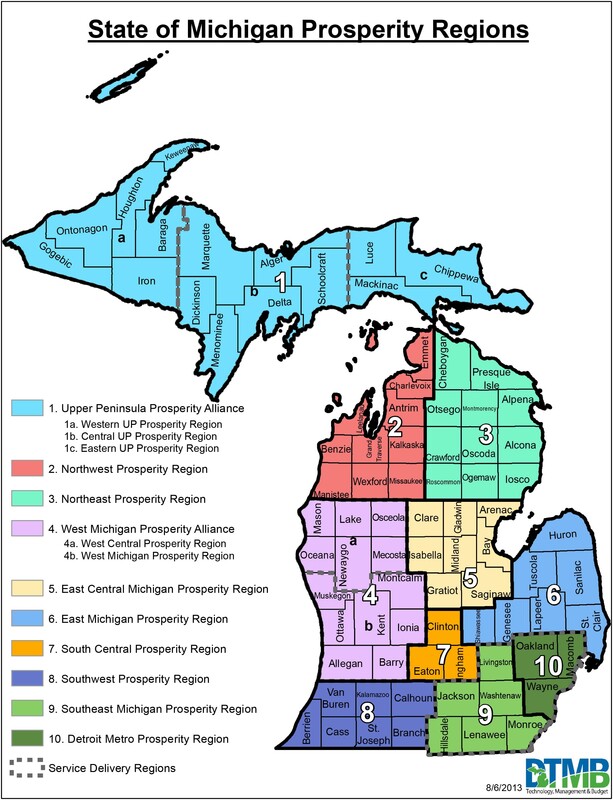 Today in Michigan we need to return to the original purpose of TIF, funding needed infrastructure that results in new development and quit viewing, from the local governmental perspective, TIF being an opportunity to “leverage someone else’s tax revenue” to help support local government economic development and desired day-to-day operating needs. For us Chicago trained planners, Burnham’s Chicago Plan and the Chicago School of government planning never seems to escape interest. The more years in the profession the more we tend to look back into history for guidance for the future. 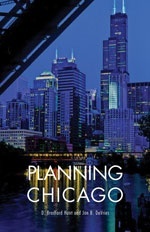 Planning Chicago, by D. Bradford Hunt and Jon B. DeVries adds something to the base knowledge and historical understandings. Chicago planning and real estate development has been, and always will be, I suspect, driven by a unique relationship between government, business and organized community interests. It’s inbred into the political structure of city ward government, historical neighborhood enclaves that began with immigrant migration in the early 1900’s and the strong commercial real estate needs of growing businesses. While some can argue that Chicago planning works, or doesn’t work, historical facts demonstrate that governmental and civic planning does work, maybe not the precise way of the planning text books, but, none the less, “the Chicago way”. Planning Chicago adds much-needed information and insight to “the Chicago way” of planning, highlighting Chicago’s downtown, neighborhoods, and business strategic initiatives all-together shaping the Chicago’s growth into the next century. Especially interesting to the reader will be the last chapter. The writers challenge the concept of “the Chicago way” opining the era of “big plans” – another Burnham plan – cannot be produced to guide the future growth of the greater Chicago region. It’s implied that traditional text-book planning approaches are passé, due to disconnect between traditional planning and the financing of projects that comprise these “big plans”. With this in mind, the authors call for restoring “planning” of the more traditional kind built upon grass root community activism conjoined with business and government interests. It’s believed that Chicago’s future must rely upon “a comprehensive plan that examines all aspects of the city, creates a shared purpose, raises consciousness about important challenges and summons the resources so they can be allocated effectively for future needs. All that needed is the political will to do this”. The authors have contributed a valuable resource to the history and contextual understanding of planning theory, especially planning activities influencing the greater Chicago Region. This is a must read for all Chicago trained and Chicago interested planners. An urban place making designer before his time. For us schooled in the land use planning profession, especially those educated in the Midwest, two names have special meaning – Daniel Burnham and Fredrick Law Olmsted. Burnham and his 1909 Plan of Chicago always seem to take center stage. But Olmsted’s contribution to Chicago and Detroit among other Midwest cities is equally noteworthy. Olmsted, labeled the father of Landscape Architecture, is credited with bringing parks and natural areas into the American planned landscape that city planners envision. While best known for New York’s Central Park, Olmsted gave us Belle Isle in Detroit, Jackson Park and the Midway Pleasance in Chicago, and the Louisville Kentucky Parks and Parkway system in addition to spearheading the national park system movement of the late 1880’s. Witold Rybczynski’s biography of Olmsted is a must reading for up and coming planners and landscape architects. 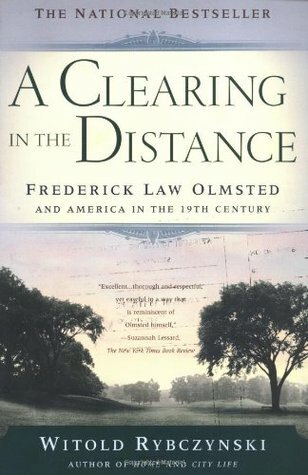 The “take away” from this reading is an appreciation of Olmsted’s understanding of “natural environment place making” the ability to use a natural environment, a park or other landscape area to contribute to the overall cityscape development pattern and influence the day-today living environment of city residents. Today, Olmsted would be classified, not only a landscape architect, but a “urban place making designer” championing the notion of creating places to attract people and offer a respect from the built environment with stretches of trees, water features, meadows and grassed turf areas as “collective people places”. He was truly “America’s park maker”. Will Benton Harbor – St. Josephs’ future be a suburb of Kalamazoo or can Benton Harbor-St. Joseph rise to true metropolitan status? “Cities are going to be the engines of the future” announced Bill Rustem, Governor Snyder’s Director of Strategy, at the Governing magazine sponsored Michigan Leadership Form held in Lansing on April 2, 2014. This challenges civic and governmental leaders in southwest Michigan to determine what the 10-county region wants to be and who it wants to identify with – Kalamazoo, South Bend or maybe Chicago & Northern Indiana. Regionalism reinvention is upon us. Underway are changes that will reorient nearly 40-years of regional planning history of Berrien, Cass and Van Buren counties which in the early 1970’s, abet under duress of the loss of federal and state funding, and came together as Planning & Development Region 4, one of 14 regional planning agencies geographically defined by gubernatorial executive order. Failure to reach consensus on a state and global identity for the newly designated 10-county region, means that communities without a regional and city identity could become a “suburban location of nowhere”, according to Rustem. To me, this is history repeating itself. Back in the 1970’s, the Benton Harbor-St. Joseph greater Twin-Cities area was considered rural, even though it was home base for seven national firms; Whirlpool and & Clark Equipment, being best known. Local leaders at that time realized being rural meant being overlooked by industrial development scouts, regional shopping mall developers and many other businesses including the emerging fast-food franchise industry. The effort to make Benton Harbor-St. Joseph a Metropolitan city was successful in 1980 after locally sponsored lobbying for federal census rule changes redefining population requirements for metropolitan central cites – ironically labeled “the Benton Harbor rule” by the Chairman of the federal rule making committee. However 40-years of history have failed to produce a statewide and global metropolitan identity. Absent from metropolitan growth research and pundit commentary about of central city place making is any mention of the Benton Harbor-St. Joseph Twin Cities metropolitan area – it’s just not on these folks radar screens. So here we have history repeating itself. Back 40-years ago, the Benton Harbor-St. Joseph Twin Cities Area was “just another undiscovered rural area”. Today, the Benton Harbor-St. Joseph Twin Cities Area again is an “unrecognized slow/no-growth small metropolitan area”. The Benton Harbor-St. Joseph Twin Cites Metropolitan Area has failed to grow into a dominate “regionally recognized city center” that businesses and people, especially young talented people identify. Truth is – change needs to happen for a successful growing population future. It’s no longer acceptable to look at self-contained inward growth policies but to reach out and connect with others. This is a “tough job” recognizing the Benton Harbor-St. Joseph Twin Cities area is relatively self-contained economic market surrounding by smaller cities better connected to more vibrant larger central city markets, some in Michigan and some in Indiana. This message is a wakeup call. It’s time to begin a process of regional planning, to lock in some of the past success in collaboration and cooperation to forge a global regional identity, whether that be a stand-alone Benton Harbor-St. Joseph Twin City identity, a Kalamazoo suburban-based small metro identity, a South Bend suburban-based small metro identity or something different connecting with the Chicago multi-state metropolitan identity. Bill Rustem is not only a good policy wonk but a strategist who can look through a clear-lens and see both long and short-term strategies that can be implemented to achieve public policy objectives. His message at the Leadership Forum is quite clear, “the Governor is giving Michigan’s local leaders and the public an opportunity, to work with the public and business community to create Michigan’s Future”. The message is pretty clear, its central cities and regions that matter. Failure to recognize and accept these changes, or resist them, means one, or both, will lose.